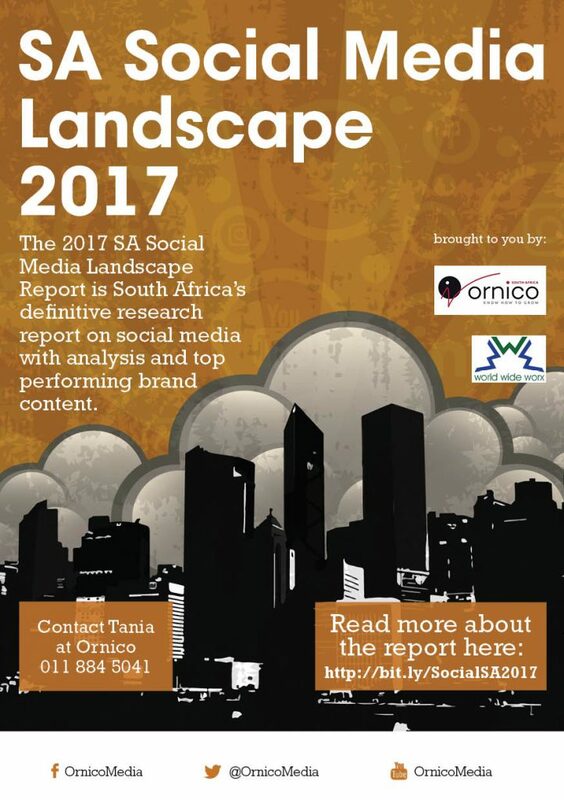 The 2017 SA Social Media Landscape Report is South Africa’s definitive research report on social media. It contains in-depth analysis of each social media network in South Africa. It includes a comprehensive survey of over 110 corporate companies and digital agencies in South Africa. The SA Social Media Landscape Report includes analysis of the top social media content of the year and dozens of pages of editorial content from SA’s best agencies. Marketers, CMOs and social media professionals use this report to understand social media’s role in corporate communications, tailor their social strategies and understand what tactics and tools are most effective.